Navicular fractures are relatively infrequent injuries. They can occur with major traumatic events such as an auto accident or a fall from a height. When they occur, they often occur with other midfoot injuries. Treatment of navicular body fractures often requires a CT scan to evaluate the injury to its fullest extent. Because the navicular has cartilage on the front and back end of the joints, displacement of navicular body fractures can predispose the patient to osteoarthritis to the midfoot region. If the fracture appears nondisplaced, conservative care would include nonweightbearing for eight or more weeks. The slow recovery is often the norm and running athletes may take six months or more before they get back to their running activities. If the fracture is displaced or in multiple pieces, open reduction and internal fixation are necessary to avoid long-term problems. Avulsion type injuries occur when the major supporting tendon of the foot pulls a piece of bone off the inside of the navicular. The posterior tibial tendon runs along the inside of the leg, inner ankle, and foot. It is a major supporting structure to the foot and allows us to walk without having our arch collapse. With excessive stress to the foot as it points out, a small piece of bone can be pulled off by the tendon. When this is nondisplaced, conservative care would include placing the patient in a below-the-knee cast that is nonweightbearing. If a displaced fracture is present, then it necessitates an open reduction and internal fixation to prevent long-term problems. Stress fractures of the navicular are relatively common injuries that occur in athletes. They are more common in sports that require a lot of sprinting or running on the ball of the foot. They are very subtle injuries that are often misdiagnosed as an ankle sprain. Patients usually present with pain across the top part of the foot just in front of the ankle. It is often vague in nature and pain is present more commonly in the mid or later part of an activity. Over time an athlete would have a difficult time running on the foot. These fractures need to be identified and treated as early as possible. X-rays may be negative in the initial presentation. It may require an MRI to evaluate the navicular. If there is bone marrow edema of the bone without any fracture line, then this can be treated conservatively with a short course of nonweightbearing in a boot or cast. If there is a suggestion that there is a fracture to the navicular, CT scans are important to get the full extent of the injury. If evaluated and treated early, stress fractures can heal with a conservative approach. A minimum of eight weeks nonweightbearing in a cast is important. These fractures may take 3-4 months before they heal. In some cases, the fracture does not heal and the condition becomes more chronic. Patients are then given the choice of doing a surgical procedure to correct the problem. If the margins of the bone are hard and sclerotic limiting the blood supply to the area then these margins need to be removed and bone grafted. A small plate or screws are then applied to the area to allow the area to heal primarily. This would require the athlete to be off from running sports for 4-12 months. Follow up examinations with a CT scan may be necessary to fully evaluate the healing process. The following x-rays in the sequence are that of a case of a navicular fracture which was repaired with open reduction and internal fixation with screws and surgical plate. The first two images are pre-operative images showing a fracture that is difficult to see. Given the clinical picture, it is always a good idea to order advanced imaging to be sure of the diagnosis. 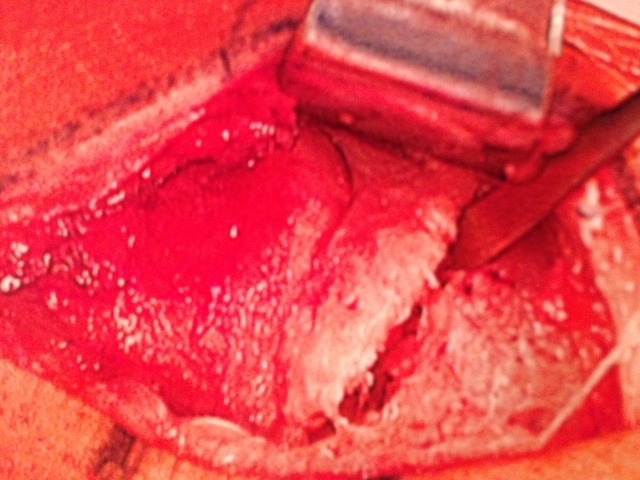 The last three images are post-surgical repair of the fracture.